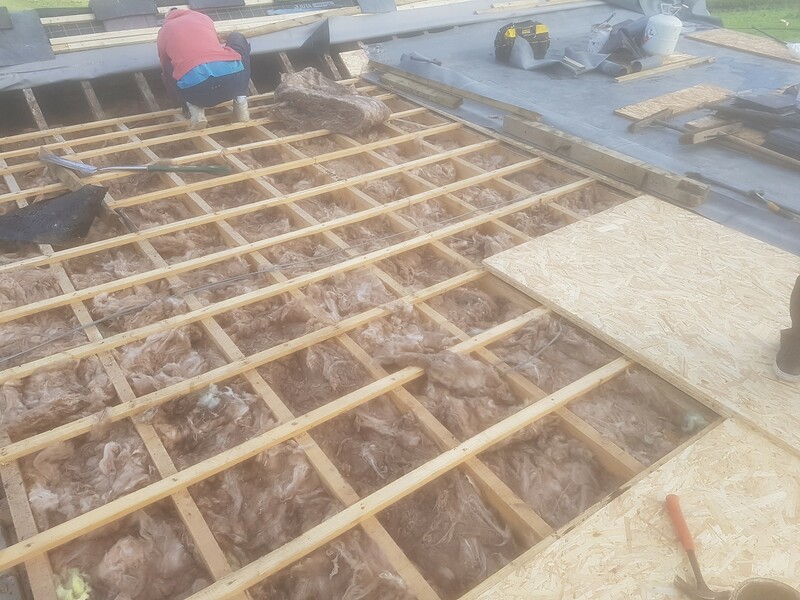 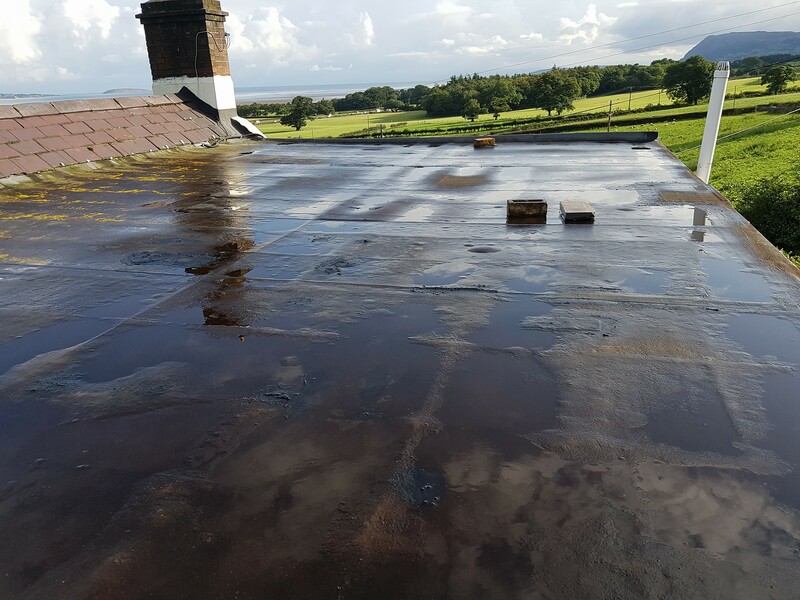 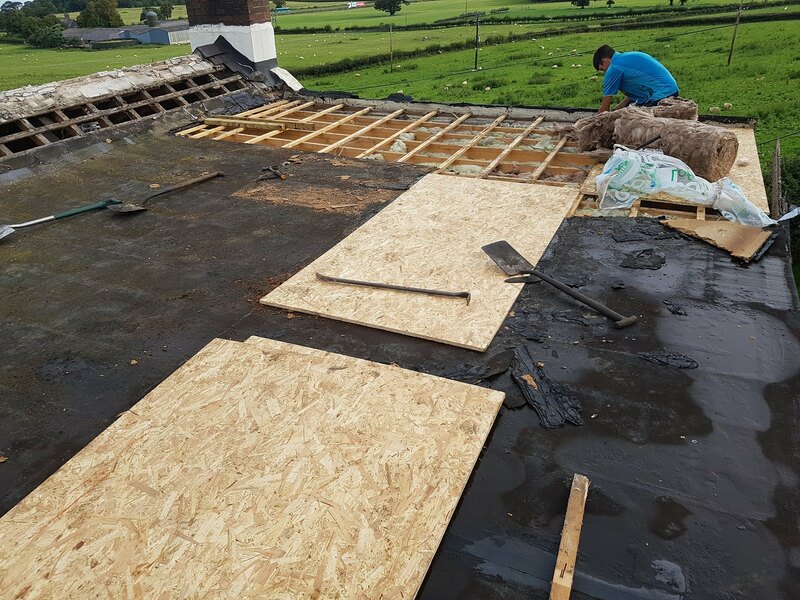 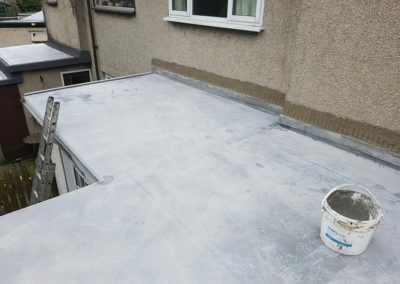 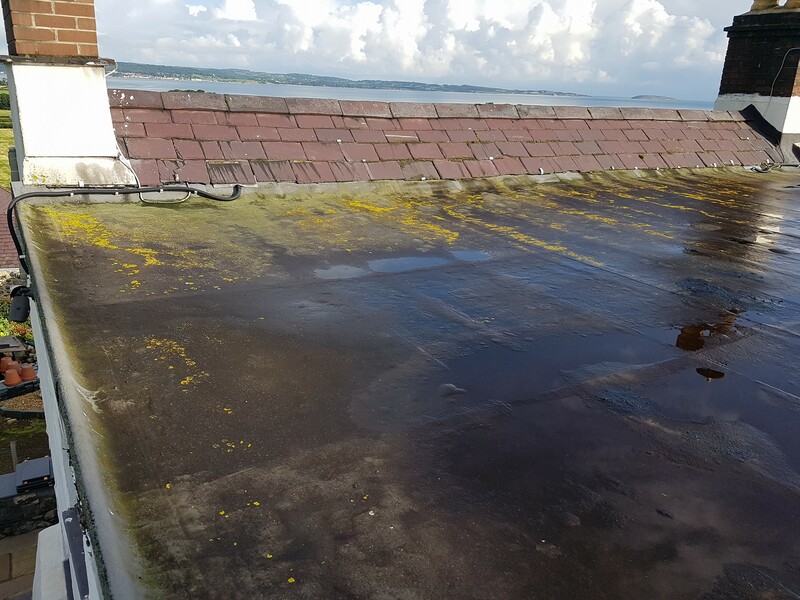 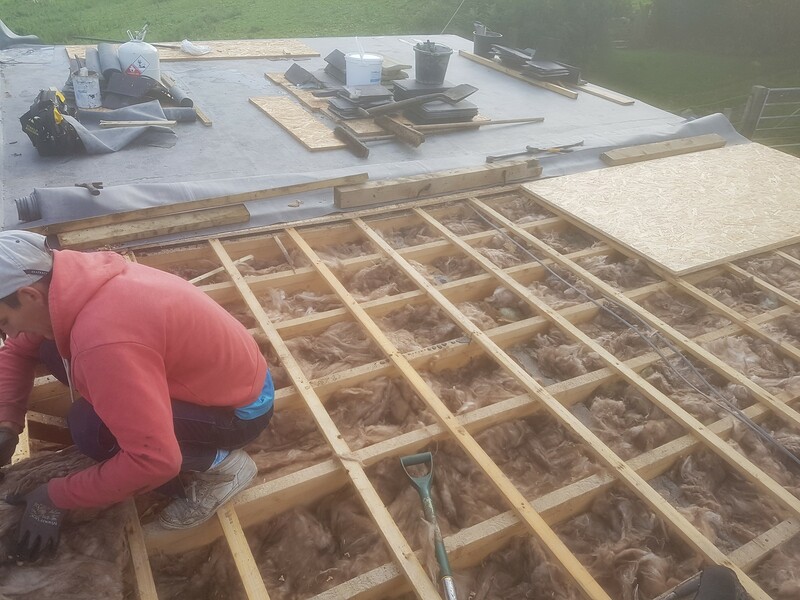 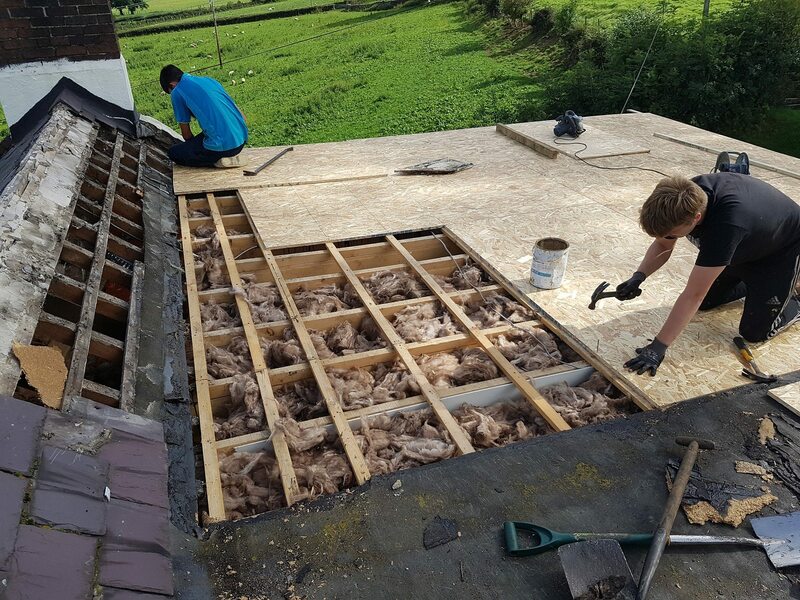 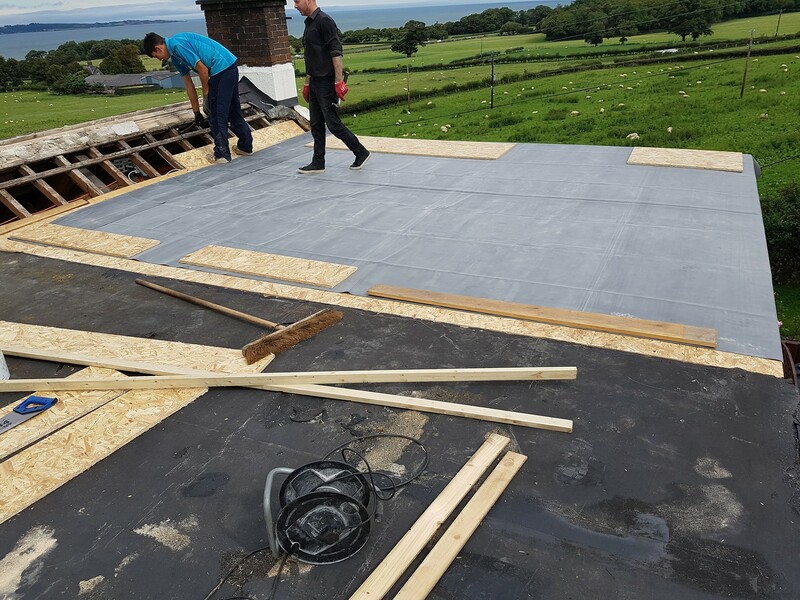 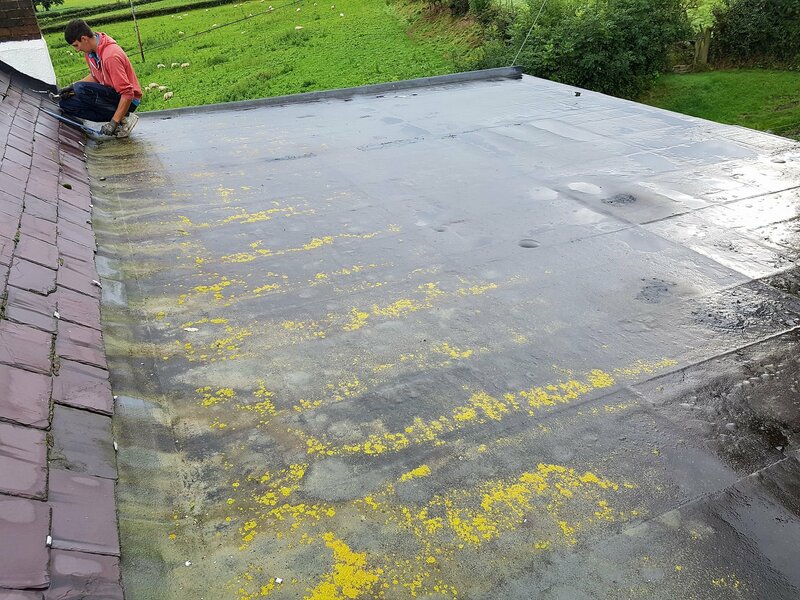 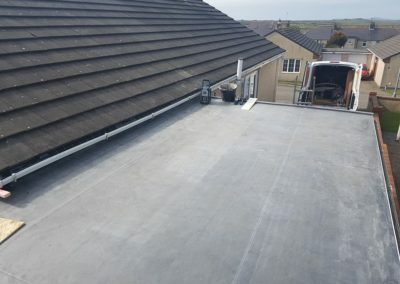 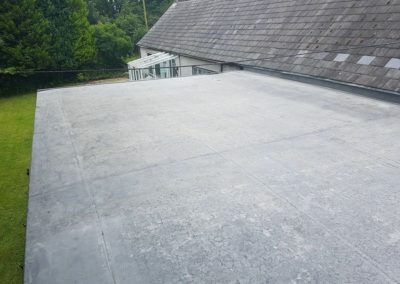 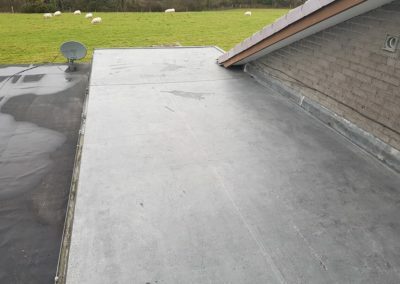 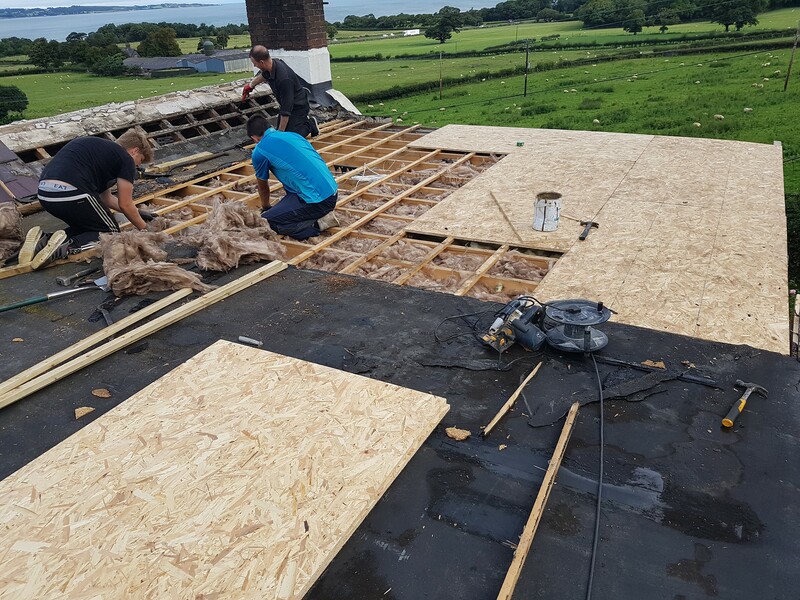 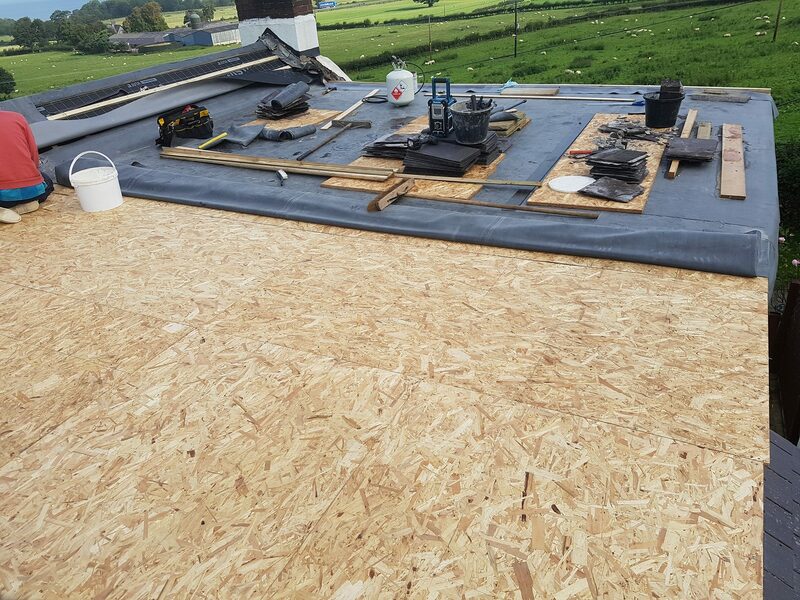 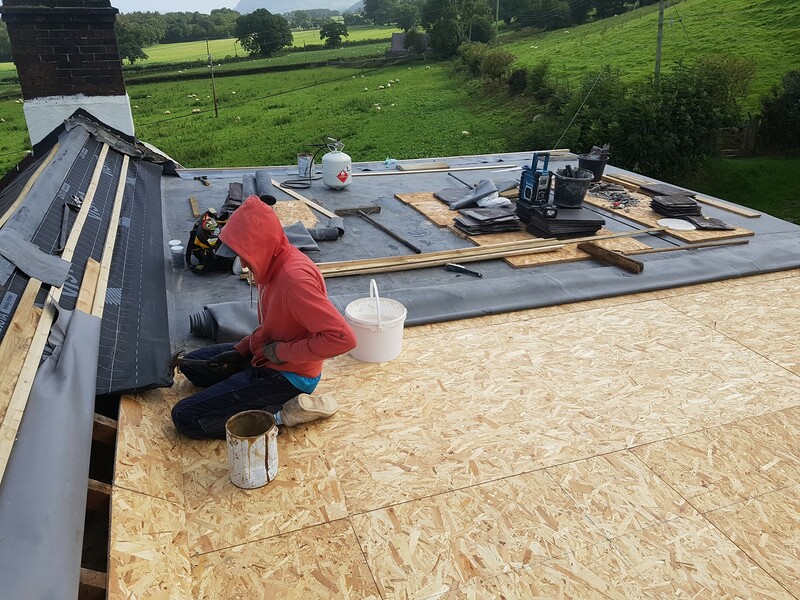 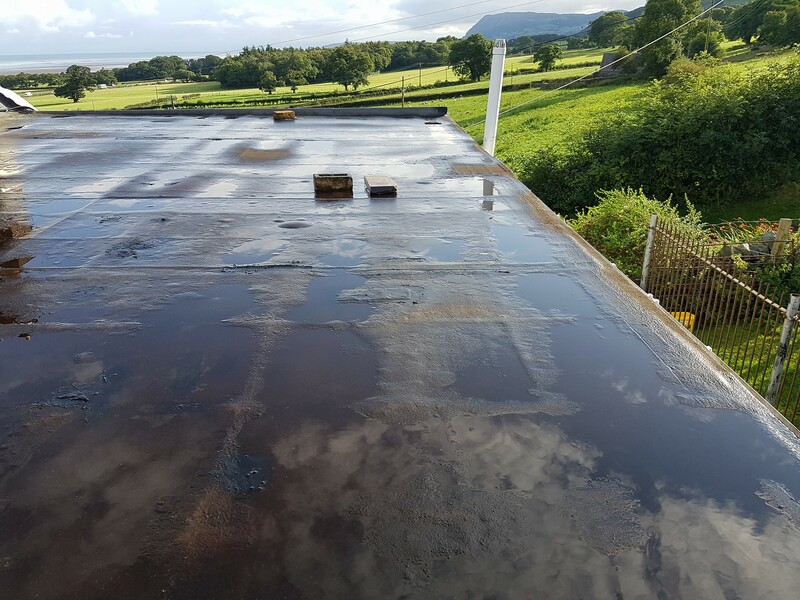 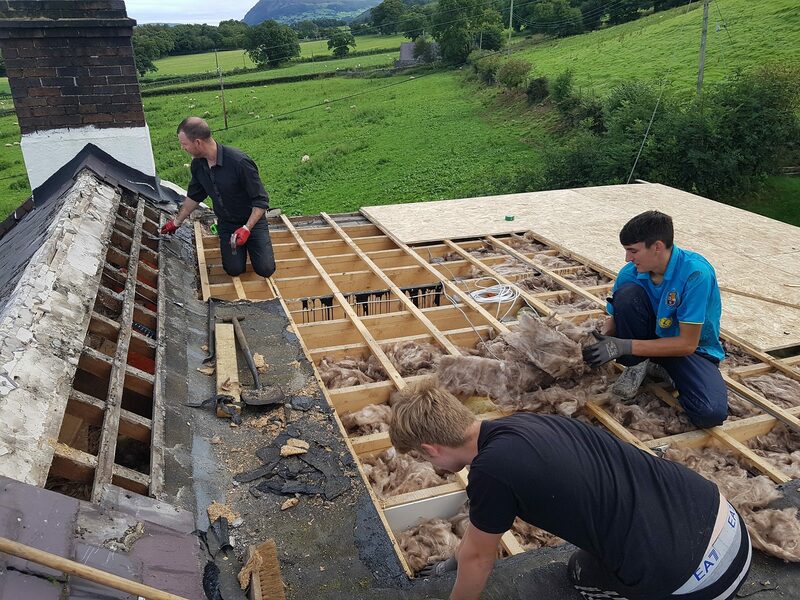 Complete re-roofing of flat roof, removal of defective chipboard decking, upgrade in insulation, new decking and EPDM. 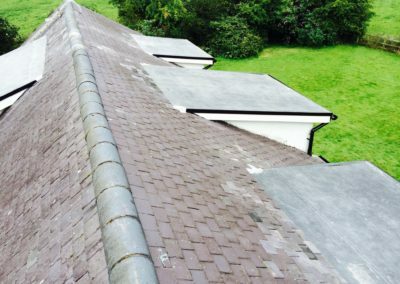 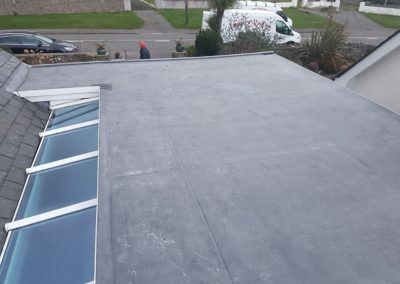 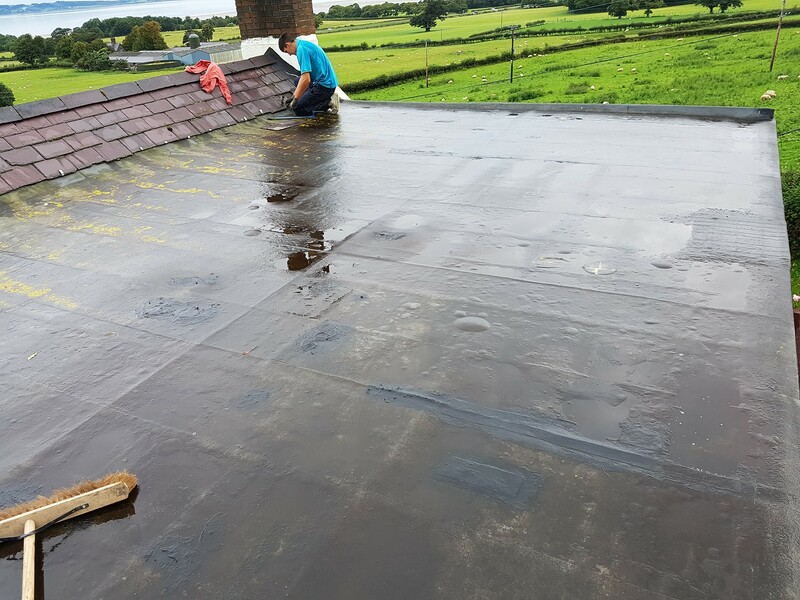 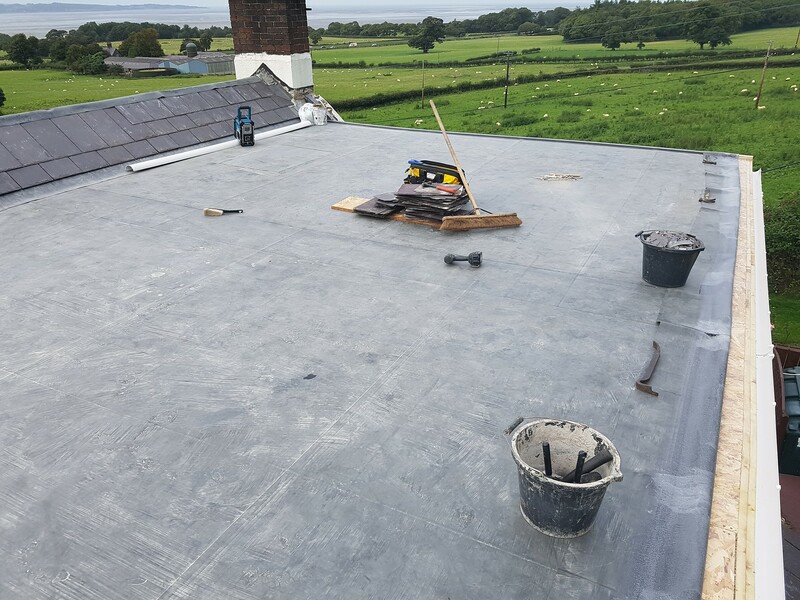 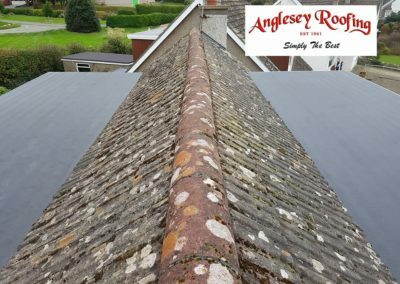 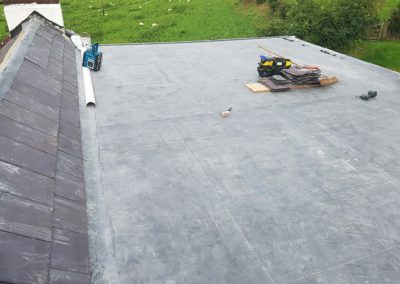 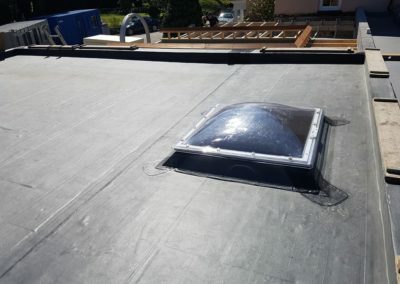 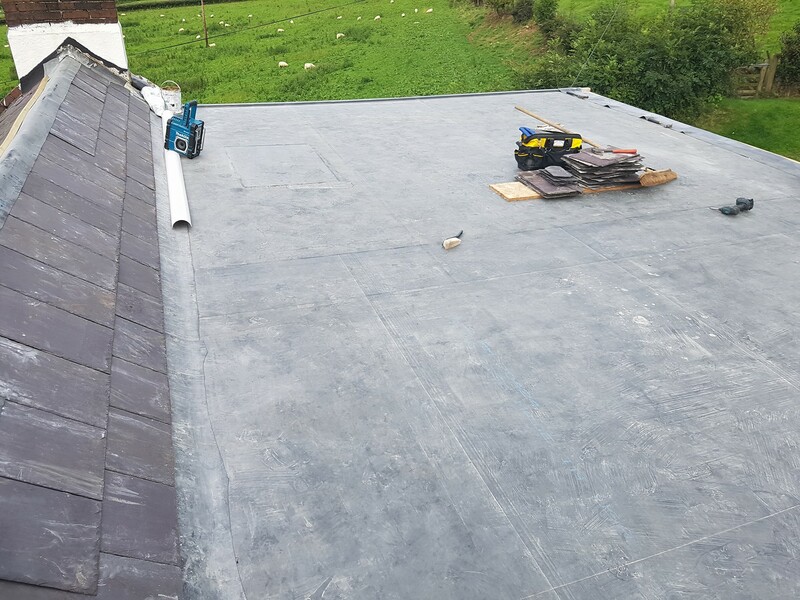 Re-slate main roof. 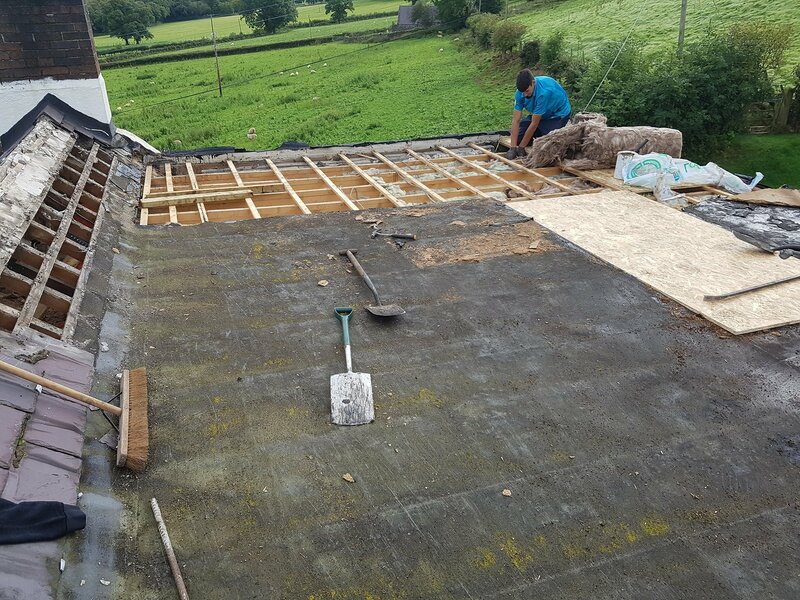 All work has a 20 year guarantee.